Note: This recipe isn't strictly paleo as it contains legumes. That said, some people on a paleo diet do consume beans/legumes so be sure to make your own decision based on your own personal diet! I often find that the recipes I don't expect to be a huge hit are the ones that become family favourites. You see, in the midst of the Easter chocolate madness, I asked Jesse what his favourite chocolate recipe I've made lately was (as I was putting together our Healthy Chocolate Recipes post) and he said "those brownies you made the other week...."
I was racking through my brain, training to figure out what brownie recipe he was talking about when he said "the black bean brownies". I knew he loved them and I knew they were delicious - but out of all the chocolate recipes I've made lately my fussy husband chose the recipe with beans as a base?! 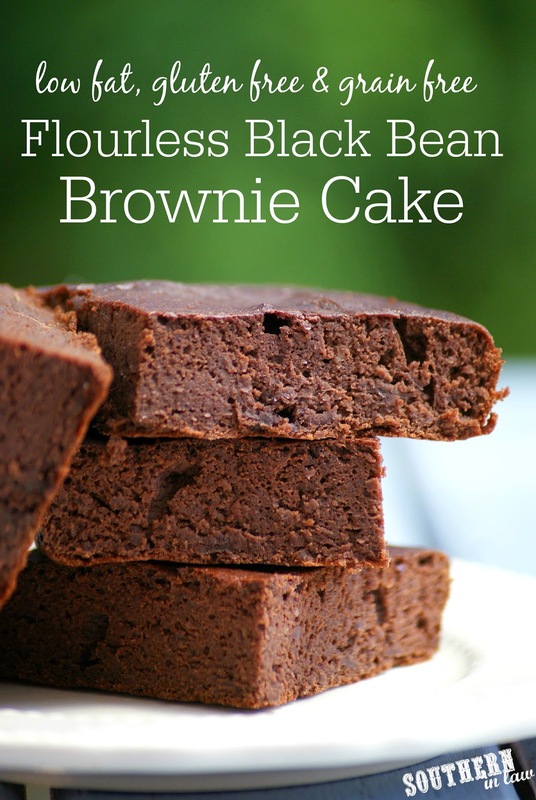 I'd tried some pretty awful black bean brownies, but I was determined to come up with the ultimate recipe - and based on Jesse and my family's response, I think it's safe to say I did just that! Best of all? 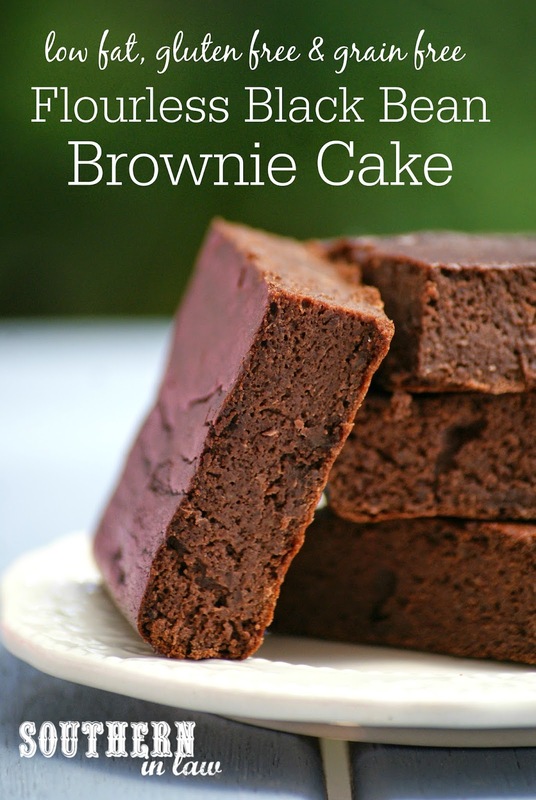 These brownies are totally healthy as well as low fat, low calorie, grain free, gluten free - and they can even be refined sugar free too! They're so good that we now buy extra black beans just so we can make up a batch whenever we feel like some fudgy brownies. In your food processor, process your black beans on high until smooth. Add in your eggs, oil and vanilla and process until smooth. Add in your cocoa powder, baking powder, sugar and salt and process until combined, scraping down the sides as needed. Stir through your chocolate chips (if using) and pour into your baking tin. Bake for 20-35 miutes (depending on the size of your tin) or until cooked through and a skewer inserted into the centre of your brownies removes clean. In the Cuisine Companion: Blend your black beans on S12 for 1 min with the ultrablade, scraping down the sides halfway through to incorporate everything. Add in your eggs, coconut oil and vanilla and mix on S8 for 30 seconds. Add in your cocoa powder, baking powder and salt, mixing on S8 until combined. Stir through your chocolate chips and pour your batter into your baking tin. But tell me, what was the last recipe you made that was a huge hit with your friends/family/partner? And what's your favourite chocolatey treat? Beans really aren't what I'd normally put in a brownie, but these do look really tasty. Wish I could just try one right now. That's happens with me too! I'm always surprised by the things they do love the most! beans/legumes are not paleo, so the paleo tag/title is misleading. Hey Alice, they're definitely not what you'd usually put in a brownie! 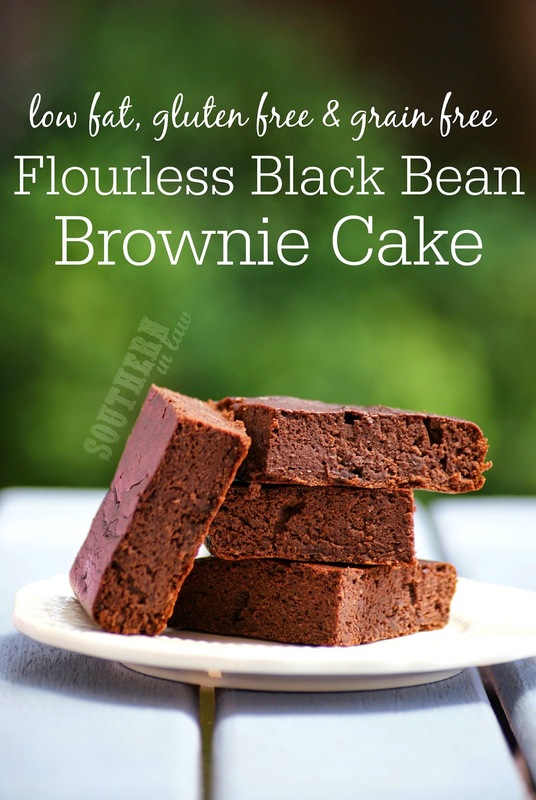 I was very skeptical at first but after lots of testing and tweaking, we came up with this ultimate black bean brownie recipe that Jesse has requested over and over! I was really confused when I was making these because your instructions didn't mention the sugar. But I added it and I'm throwing everything in the oven now. I can't wait to try them!!! These are unbelievably delicous!!!!! Thank you so much for sharing this amazing recipe! I am on the Auto-Immune Protocol, and am not eating any nuts or seeds. The coconut flour is fine in moderation (since it's not really a nut), but I can't use any nut/seed flours for the almond meal. Could I use Yuca root, or arrowroot/tapioca flour? Or perhaps mashed sweet potato or squash, and reduce the liquid? It sounds much nicer than many "bread" recipes out there that are AIP compliant. Hi Kate, I have no idea how this recipe would work with substitutes as we only tested it with almond meal, tweaking it until the recipe was absolutely perfect. Any substitution to any recipes will effect the taste, texture and end results so it's important to be aware of that. If you're substituting it with anything, I'd perhaps try substituting the almond meal with ground oats/oat flour or possibly arrowroot/tapioca flour. Definitely don't substitute mashed sweet potato or yuca root as that's completely changing the makeup of the bread. Hi! I am making this recipe today and only have 1/4 cup of almond meal. Any idea what I could do for the missing 1/4 cup of almond meal? I have brown rice flour, coconut flour, tapioca flour? Hi Melissa, you will get a different end result when substituting ingredients, however, you could try to replace the other 1/4 cup almond flour with 2 tbsp brown rice flour or tapioca flour. Hi I'm just wondering if I can substitute the almond meal with almond flour? I would love to make this banana bread but I only have almond flour! Thanks! Hey Lisa, I am SO glad you loved the recipe! I agree that the recipe is so easy to slice and it really can be eaten straight out of the oven! Thank you so much for following the recipe as well! We often get emails from readers who are disappointed when a recipe doesn't work, only to find out they've changed most of the ingredients. We spend HOURS testing and tweaking recipes to make sure they're perfect so it's awesome to hear when readers love them! I followed your recipe exactly (I weighed my ingredients), and it was wonderful! It was a little too wet, despite being very brown on top, so I'm going to try it again right now and add a tablespoon of chia seeds! I'll find any excuse to use chia ;) thanks so much for the recipe! As I mention in the recipe, if your top seems to be cooking faster than the middle of your loaf, simply cover it with foil and allow it to keep on baking until the middle is cooked through. This way the loaf won't dry out and your crust won't burn! I used a little agave nectar instead of the vanilla extract (I am intolerant to vanilla) and added a little more honey to it and it was just delicious! Thank you so much for this recipe! My pleasure, Helena! I am so glad you loved the recipe!